The new album features 10 new songs. 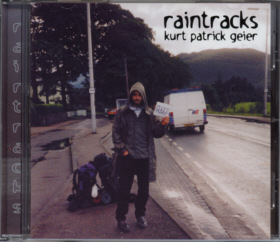 As both 'Raintracks' and 'Sweet Apples', 'Take aim' is a collection of acoustic folk/country tunes that aim for the heart and sneak into the mind. 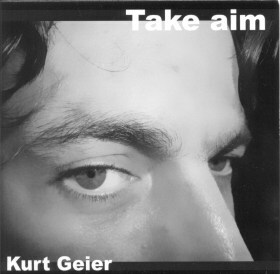 'Take aim' is for those of you who need a break from the incessant noise that pervades our lives. Recorded with just some acoustic guitars and a singer, this is a very reduced record. It is what you might like to hear if you were out in your favorite pub alone or with your best friend - in search not for the wild and the dangerous, but in need of the soulful and ready for a smidgen of melancholia. BUY this CD - there's no way you'll regret it! The new album features 11 songs that bring a new diversity to Kurt's style. More rhythm and less depression! Nevertheless the rainy roots remain. Musical influences in recent years, though as always not immediately apparent, have been Johnny Cash, Girlyman, Nickelcreek, Billy Tallent and Metric. The CD features 16 songs that are - as most of you who have downloaded songs from this site in the past know - slow, melodious and melancholic. Just the thing for a rainy day! 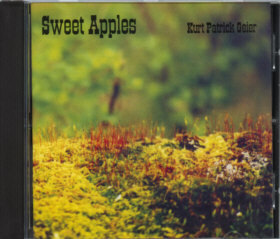 With music inspired by irish folk (and any other slow and moody music available) and lyrics that are mostly introverted and sometimes cryptic, Kurt's songs are for those who like a rainy day, a cup of coffee, chocolate, bottled beer, lots of free time, the north, the sea - and preferably some, most or all of those combined. Amongst Kurt's musical influences, although not always immediately apparent, are the following: Tom Waits, Bruce Springsteen, Billy Joel, Suzanne Vega, Don McLean, The Dubliners, Johnny Cash, Bob Dylan and Cat Stevens.